This morning we let ourselves sleep in a little given the huge meal we enjoyed last night. After a very light breakfast, Glenn, Gwen, Dan and I headed out for a walk. 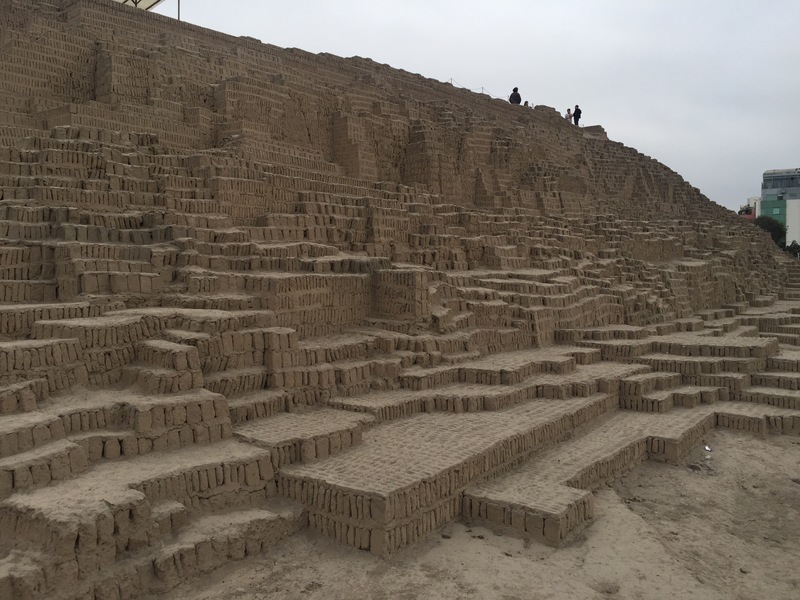 We needed to stretch our legs a bit so decided to walk the 2.9 KM to Huaca Pucllana – a pyramid like structure built and in use between 200 – 700 AD and made entirely from adobe. It’s amazing to think it’s been able to survive all these years through countless storms etc. When we got to the gate, the official told us that the next English tour would be in 45 minutes, and would last about an hour. 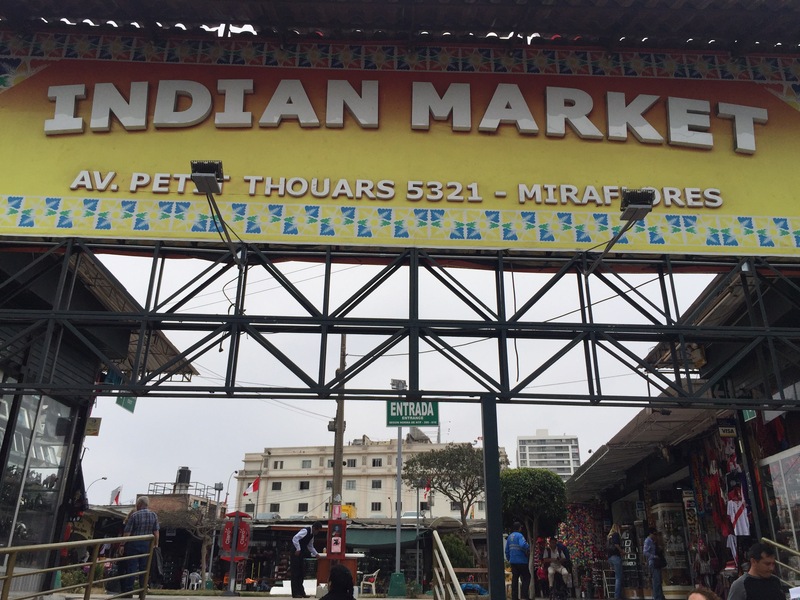 While the entrance price was very reasonable, you could not visit the site without a guide. We were welcome to come into the beginning area and take photos, which we did. 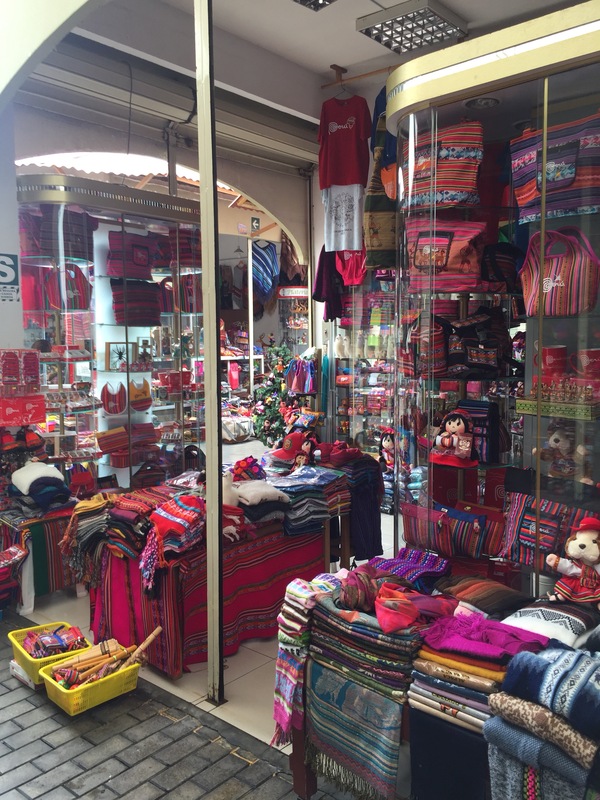 We walked back the way we cam, and decided to stop into the Indian Market – this featured a great deal of local Quechan artisans and silversmiths and was a cachaphony of colour! With our senses duly assaulted, we moved south through the streets and listened to the traffic and rhythm of the city. 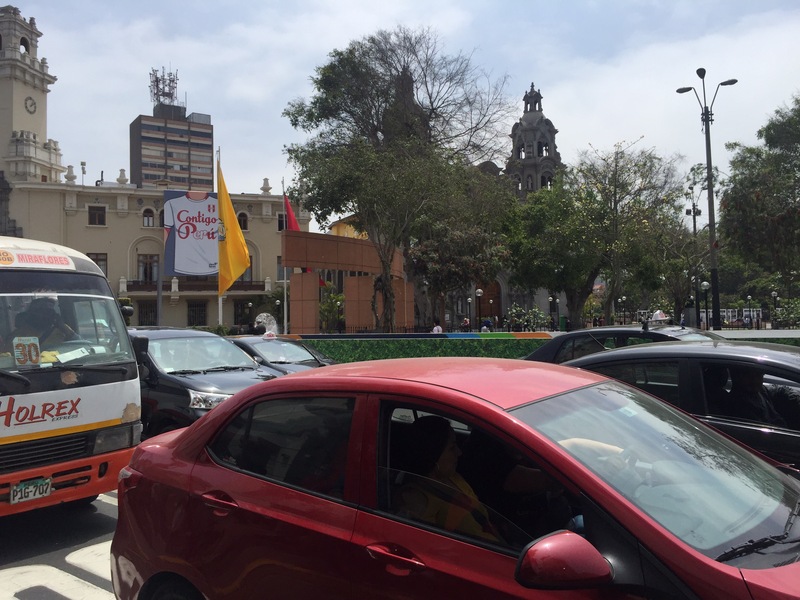 Car horns integrated with old cultural buildings, traffic was bizarre! 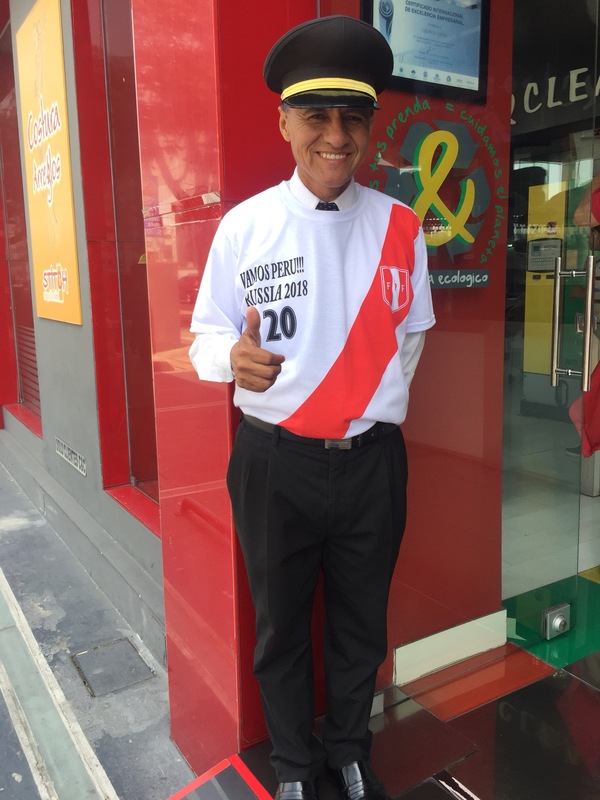 ( could have something to do with Peru playing an elimination round against New Zealand to qualify for the World Cup tonight at 10:30…everyone seemed anxious to get their stuff done and get ready to park in front of the TV for a few hours! 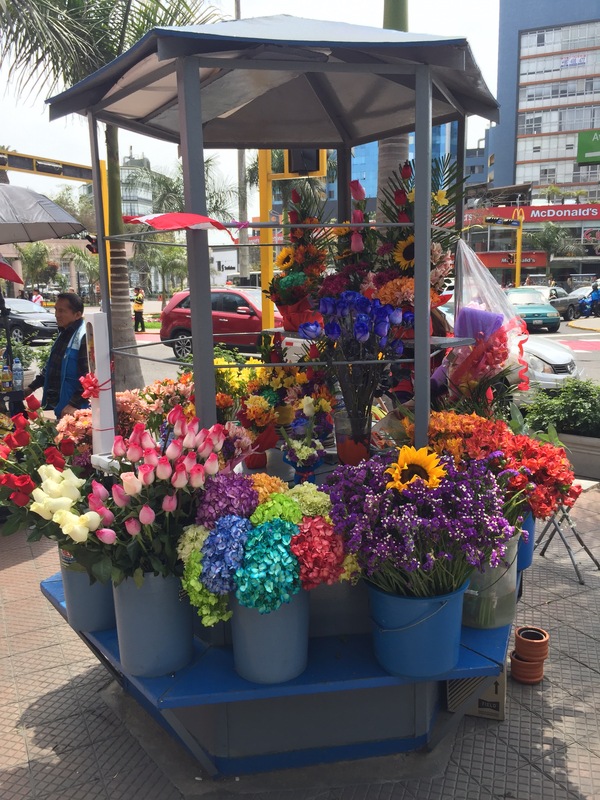 Whether it’s in the weaving, embroidery or just flowers, this city is alive with colour! We made it back close to our hotel, to a seamstress shop that was abuzz trying to personalize soccer shirts for dozens of clients. Throughout this, they managed to fix Dan’s “backup hiking pants”. I got a kick out of the security guard standing at the front door of the shop. I wonder who he’s rooting for! 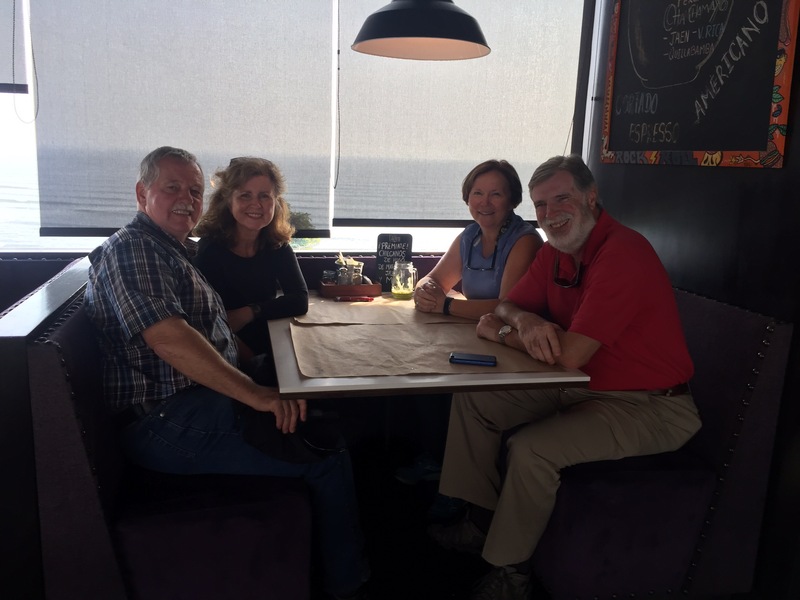 A quick stop at the hotel to finish some packing, and the four of us headed out once again for an early supper at LarcoMar. 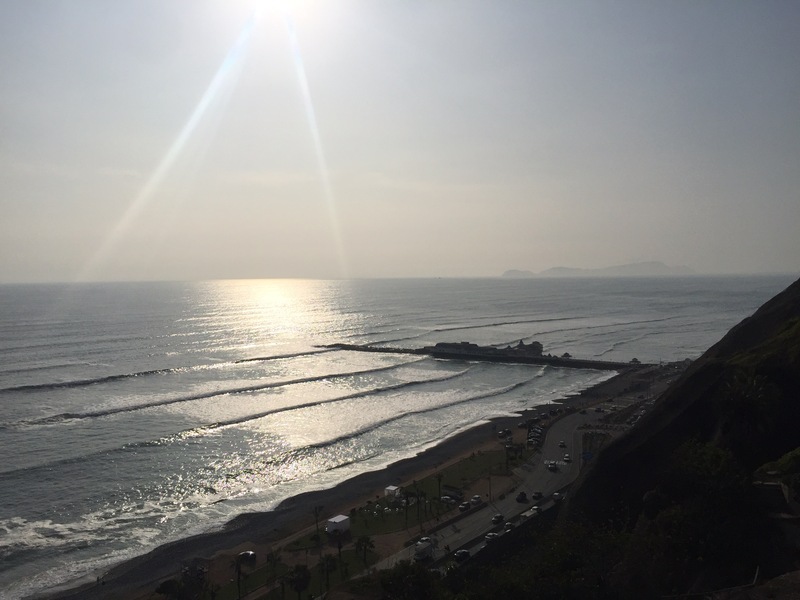 The ocean was stunning, and there were several surfers trying to catch waves. We went to PapaCho’s one last time for a delectable burger and some isotonic drinks (at least for the guys!). This would be our last meal together as a foursome as Glenn and Gwen leave early tomorrow am for a direct flight home. 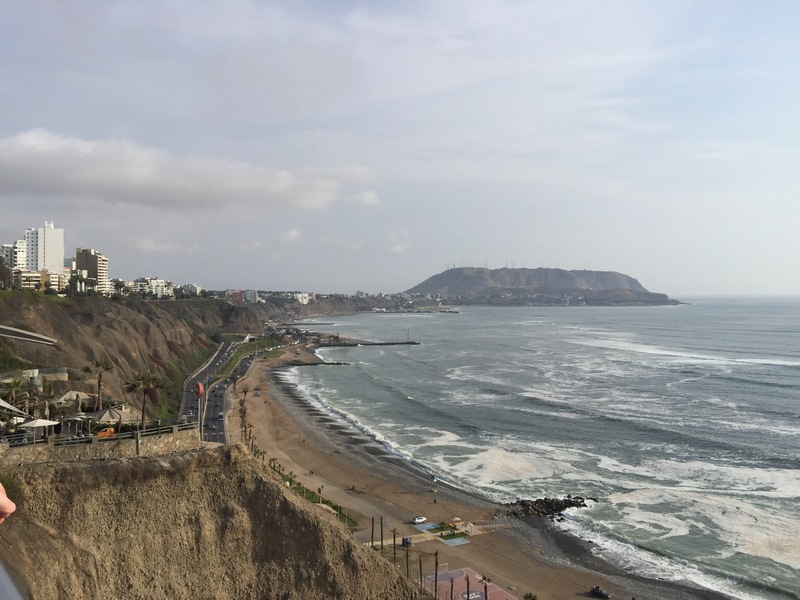 Our walk after our meal gave us one last look at the ocean here in Lima, as we made our way back to our hotel. 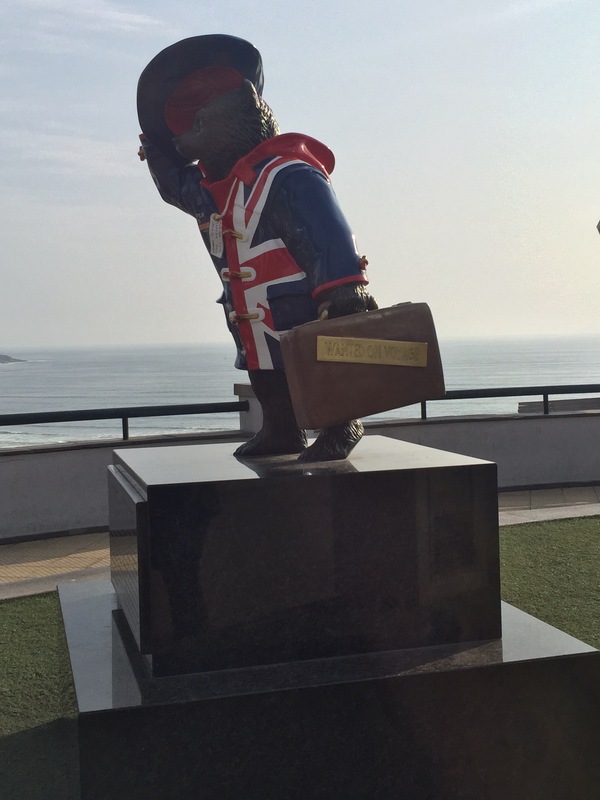 We also came across and interesting statue of Paddington Bear…who is apparently Peruvian! In spite of our efforts, we did indeed learn something today!! 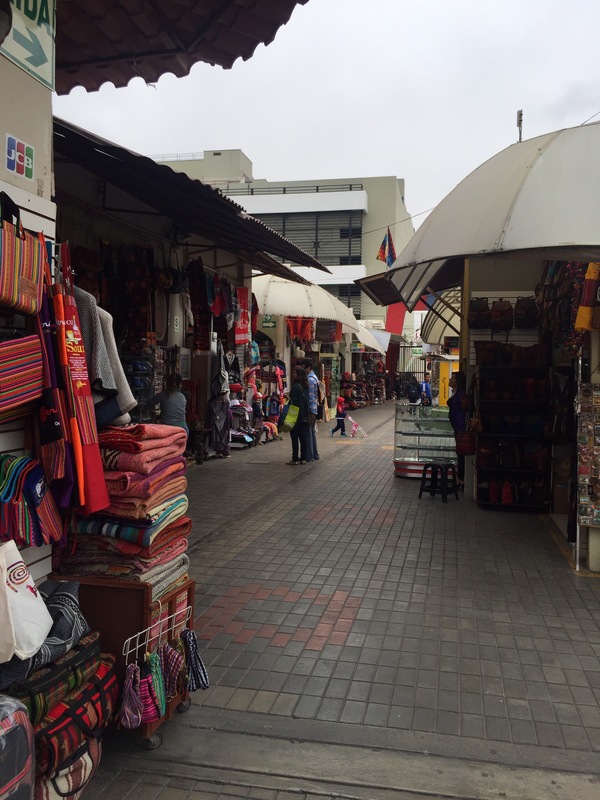 Dan and I are also saying goodbye to Peru this evening as we head down to Santiago, Chile. Our flight leaves at 10:15 pm, and with the time change we will arrive at 3:50 ( 2 hours ahead of Lima time). I don’t expect we’ll be doing much tomorrow in Santiago given the overnight travel, however, I’ll keep you all posted! It’s been great here at the hotel in Lima with high speed wifi. I’ve been able to post lots of pictures with very little waiting time. I hope Santiago will give me the same kind of comforts! Once we leave Santiago to begin our trek in Patagonia, I expect that I will be challenged with wifi band width and speeds once again, so I will post when I can! 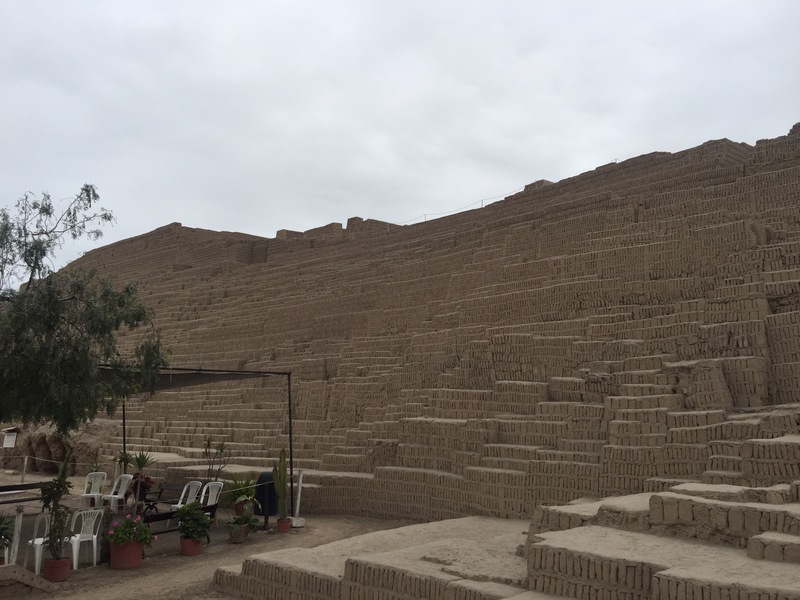 Until then, goodbye Lima. We’re ready for our next adventure!! !